What happens when a genius of a painter meets a wealthy autograph dealer in New York City? Will they live happily ever after or will their worlds collide? 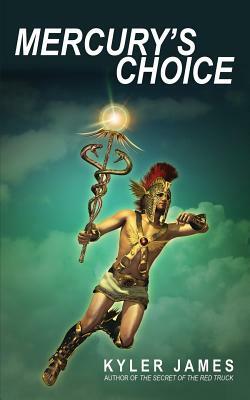 Only Davis Jarvey, our gifted painter, will know for sure--on that dreaded day when he's forced to make...Mercury's Choice. Kyler James is the author of the novel The Secret of the Red Truck, which made Dennis Cooper's favorites list for 2014 and sold out repeatedly in New York City bookstores. A former actor and NYU graduate (studied with Stella Adler), Kyler started reading Tarot cards on film sets and has been a professional psychic counselor for thirty years, amazing people (and animals) with his talents. He has written columns and short stories for a number of magazines and is known for being "The Wizard of Washington Square" when the weather succumbs to his will. You can visit him at www.kylerjames.com.